A semi-homemade ice cream for those without an ice cream maker! Soften the ice cream at room temperature so it is soft enough to mix. Peel the nectarines and mash the pulp. 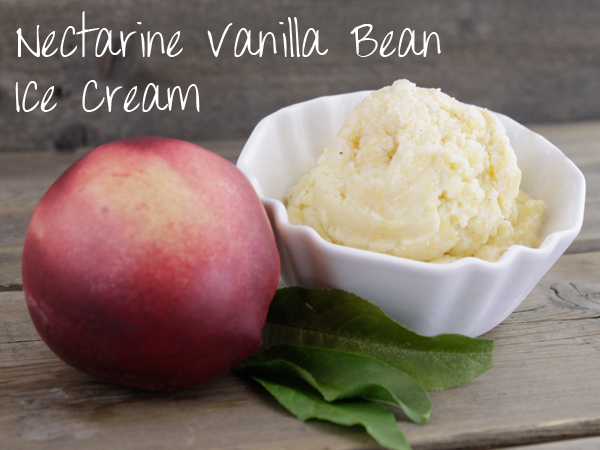 Using an electric mixer (or by hand using a wooden spoon if you want an arm workout), blend the softened ice cream and mashed nectarines. Transfer to a freezer safe container and chill in the freezer until firm. Overnight is best, but it will firm up enough in 2-3 hours.